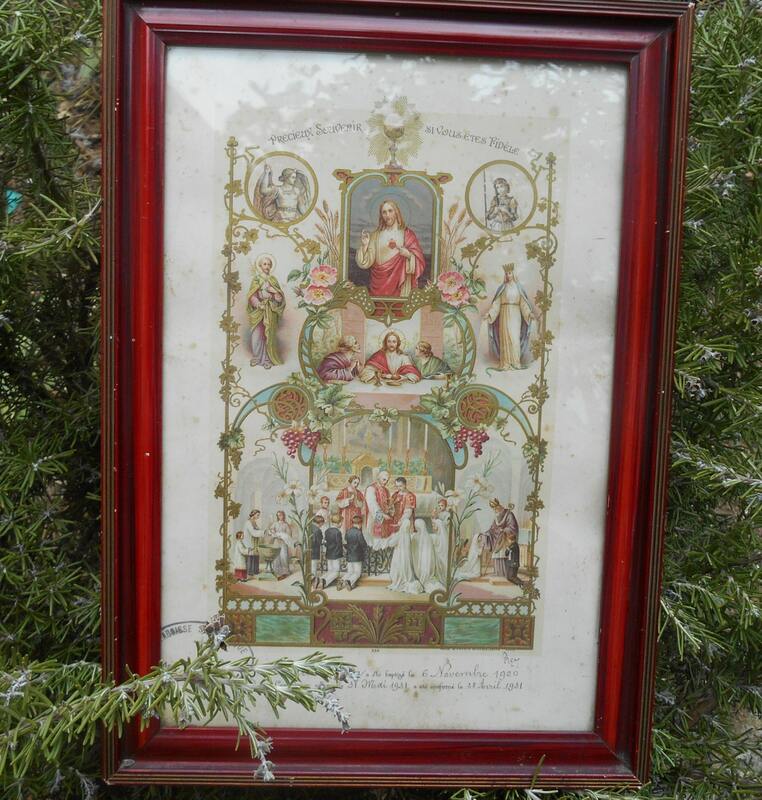 GORGEOUS Antique French Religious Catholic Communion Engraving . 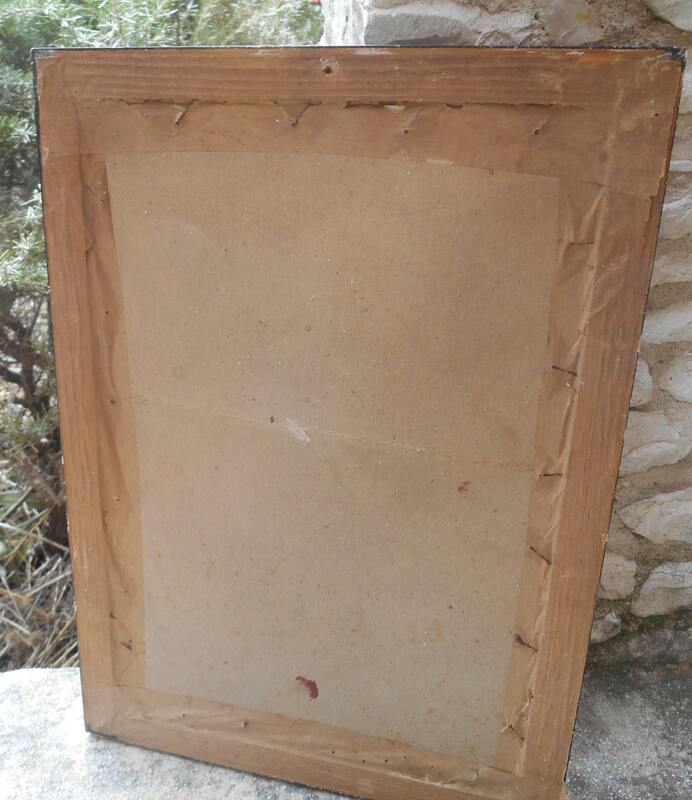 Illuminated Heart of Jesus frame from 1931 . 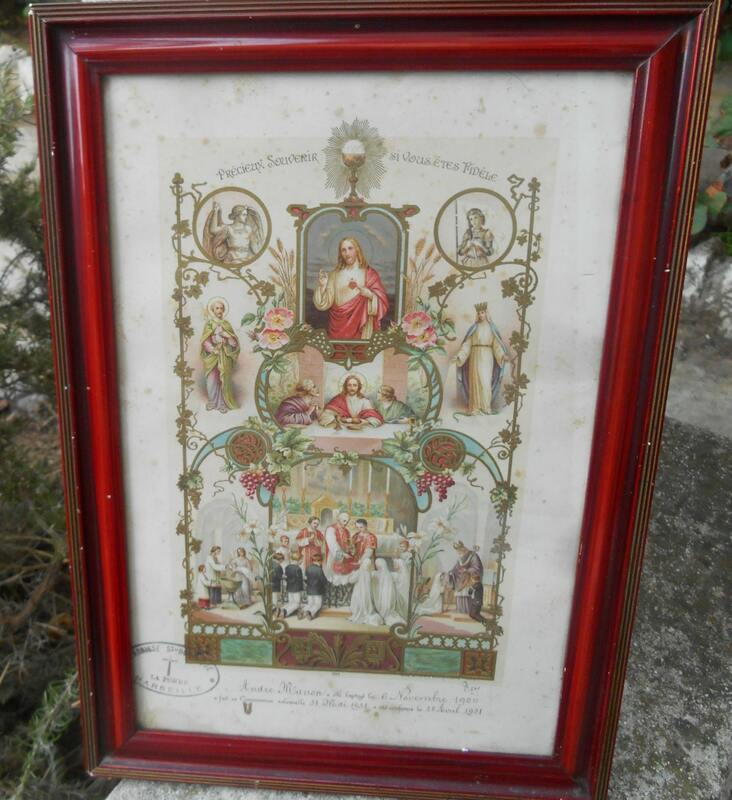 Dated and stamped by Marseille parish.Communion poster showing the Heart of Jesus, Our lady, Jeanne d'Arc, St Michael. Hand ink written, dated and signed. 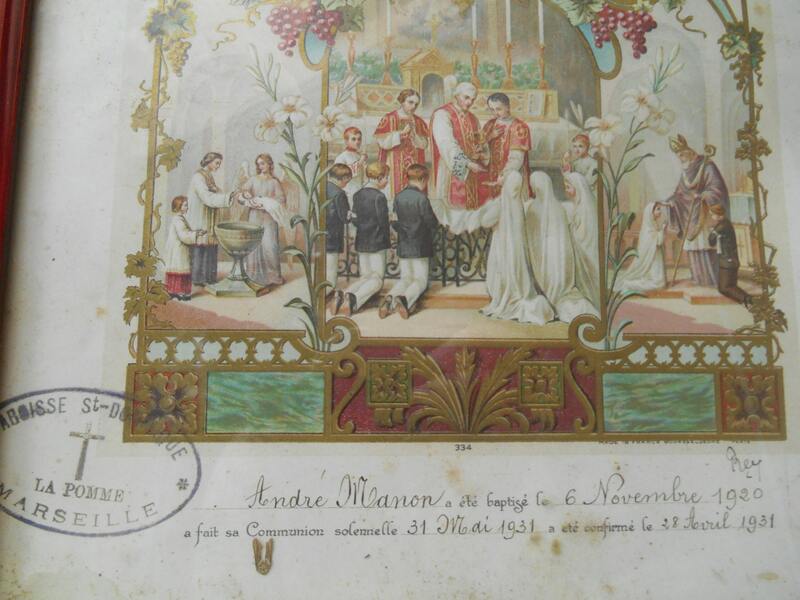 Saying in French " Précieux Souvenir Si Vous Etes Fidèle " Made in France - André Manon Marseille. Red Wood framed and glass protected.The Poster has a red shade. 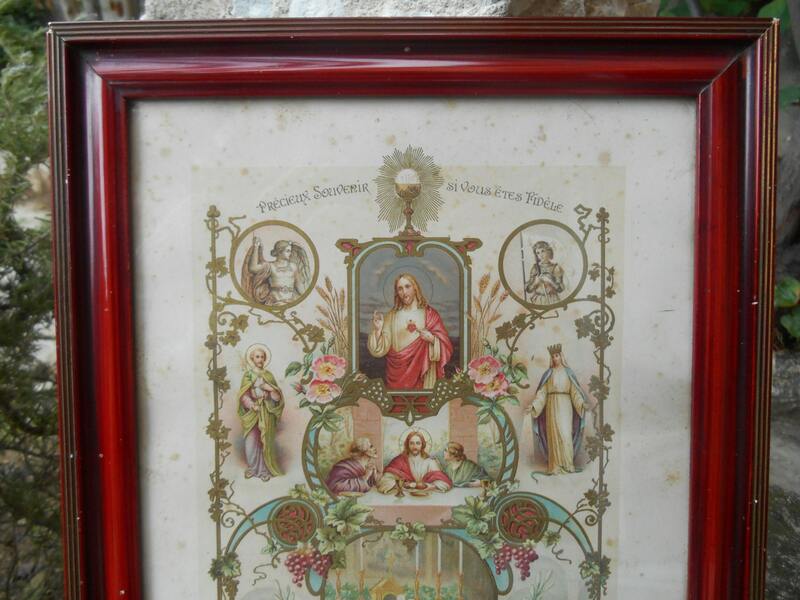 Beautiful Antique Holy Religious Work !